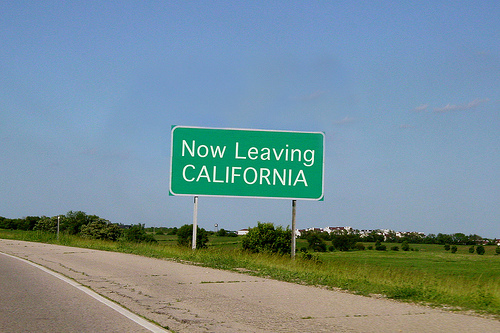 Ever since I was in high school I couldn’t wait to get out of Orange County and, one day, out of California. I always knew that I was just a little bit different. While my classmates were getting BMWs (and complaining that they weren’t brand new), I was in love with my 1988 Volkswagen Jetta. I was never into materialistic things, I don’t like the beach, and my skin burns the second I step outside. Long story short, I just wasn’t made for California. The farthest I have ever gotten away from Orange County is San Francisco and boy did it rock my world. I spent three years there for college and I came back a completely changed person. After living and loving a diverse and socially accepting city like SF, it was tough to come back to Orange County. It’s not that I didn’t have friends or that I was completely unhappy, I just have always felt like a square peg in a round hole. So, the plotting began. My first target location: Seattle. I spent one weekend there and I fell in love. The walkability (yeah, I know it’s not a real world, but you get the idea!) of the city, the diversity, the green, and the weather, I LOVED it all. So I looked and looked for a job. I figured out where I would wanted to live… and nothing ever came about it. You see, as much as I would love to be spontaneous, I am a huge over-thinker and the thought of moving somewhere before I have a job gives me palpitations. So, I worked a few years at a job that I realized was going nowhere, I got out of a doomed relationship, and I started plotting my move, this time to Austin. Everything I read gave the city rave reviews about employment rates, food, and entertainment. After a long weekend (are you seeing a trend? It doesn’t take me long to love a city more than I love Southern California) I was hooked. Again, I could walk everywhere, I could eat myself silly with all the BBQ and the job prospects were pretty awesome. The job I was working at was offering a buyout and it was enough money to support me for a few months while I moved to Austin and looked for a job. I was going to do it! I was going to make a bold move and take a chance. THEN, the unthinkable happened, I fell in love. Hard. And, the thing is, I’m not one to fall in love often. I spent most of my life NOT in a serious relationship, so of course I would find the love of my life when I had one foot on the plane. Oh, and of course this guy would be in LOVE with South Orange County and, here’s the kicker, his profession would only allow him to work in Orange County/LA or Detroit. I can’t say that Detroit ever made my long list of relocation prospects.